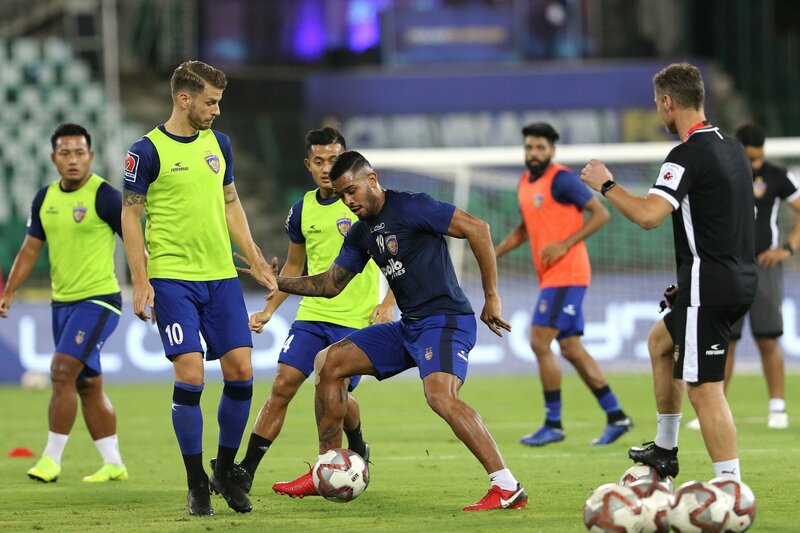 Mumbai City FC have enjoyed a good run in the Hero Indian Super League this season but there is still plenty of work to be done for Jorge Costa's side. They will look to continue with their winning ways as they take on a beleaguered Chennaiyin FC at the Mumbai Football Arena on Thursday. Paulo Machado continues to be the chief orchestrator for Costa’s side in midfield and Arnold Issoko’s direct running on the right flank has also caused a lot of trouble to the opposition defences. Modou Sougou hasn’t been on the score-sheet since their 1-0 win in Chennai and Thursday’s game is an opportunity for him to increase his tally against Chennaiyin FC’s disjointed defence which has shipped in 19 goals. Chennaiyin FC coach John Gregory was also appreciative of their opponents. “I think they have a well-balanced team. I like Arnold, it’s very hard to shake him off the ball. (Matias) Mirabaje is great too but I think he’s been injured frequently. I also like the captain (Lucian Goian) but I think the strength of Mumbai lies in their teamwork. They don’t have any weak areas as such and are well-balanced,” said Gregory. Chennaiyin FC have had a season to forget so far having amassed five points from their opening 10 games. They have eight matches to go and in coach John Gregory’s words, they need a ‘miracle’ to make it into the top four. “We’re a long way off from the play-offs and I think we need to win all the remaining eight games to even stand a chance of getting anywhere near the play-offs. But football being football, nothing is impossible. We need to win some points for our pride as I think we have performed nowhere to our standards this season,” said the Englishman. The Marina Machans, however, wouldn’t want to throw in the towel as they will want to prove a point or two. The players are certainly under pressure as the big names have failed to live up to the billing. Jeje Lalpekhlua has endured his worst season in the ISL with no goals to show for his efforts. Jerry Lalrinzuala too has looked shaky at the back and hasn’t had the same impact when going forward.